The laterna is a barrel piano which is indeed a little portable piano with an action activated by a wooden cylinder which has thousands of little nails hammered on it, every nail being a musical note. 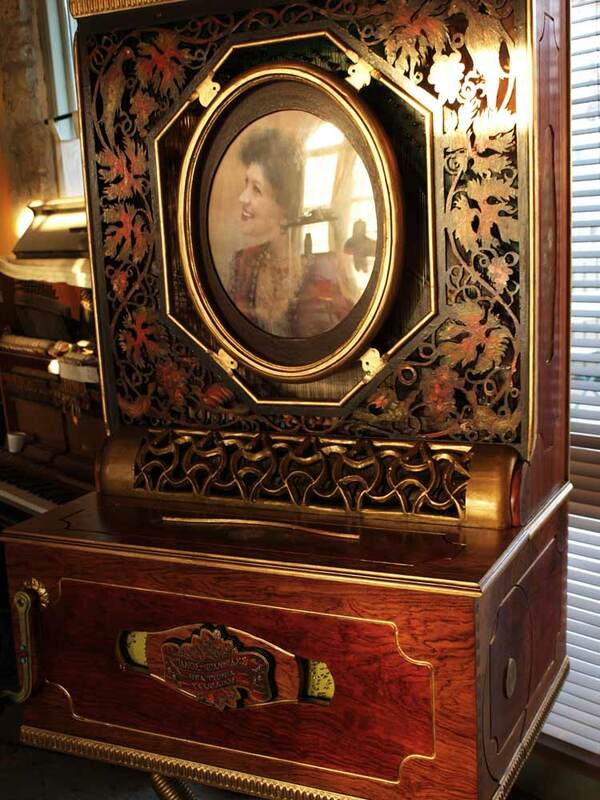 Most forgotten in the West as disc-operated music boxes and player pianos replaced dit, it is the main music maker of Greece of the period 1860-1920. Therefore it was extremely popular, widely built and greatly loved by Greeks and played a vital role to the evolution of the Greek 20th century music. Old generations remembers its glamour and glory, newer generations see it as a mean of begging, as it always “mutilated” by beggars after the invention of the gramophone and the radio, and the newest generation sees it with enthusiasm and a true curiosity and respect. The figures are enormous: It is hard to imagine a society with no T.V., radio, Hi-Fi, tapes, Video etc. Only the privileged and rich managed to enter to music taverns and cafes. No music for the poor, the women, children etc. The only means of listening to music for the masses was that blessed instrument which was the jukebox of the time. It circulated in the streets by the thousands built by an organized industry supported by craftsmen of several specialties and talented musicians. 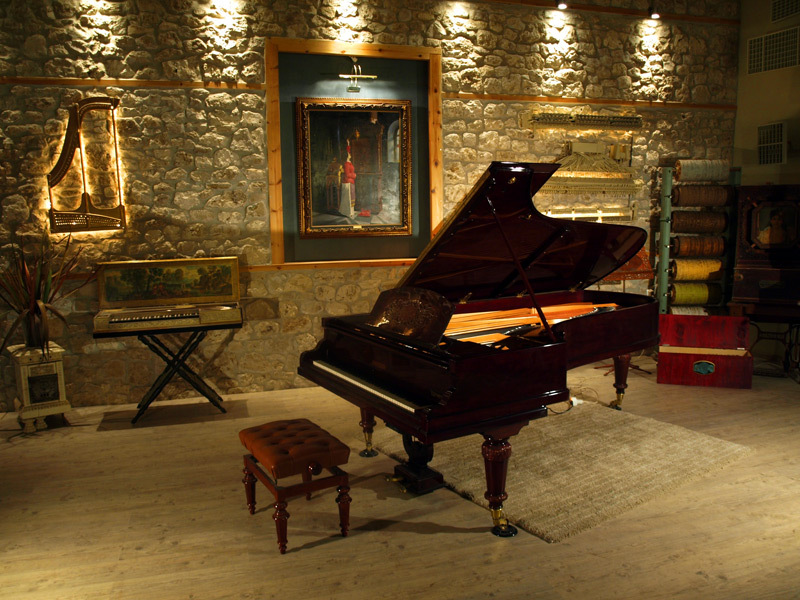 Figures compare the density of 1900 laternas to the pianos owned today. All kinds of music was “stamped” on the cylinders. It virtually carried on its back most of the Greek musical tradition. Many instruments had a spare cylinder which contained European dancing music, e.g. waltz, tangos, polkas etc. Today there are only a handful left, in bad shape and none of the old craftsmen exist. 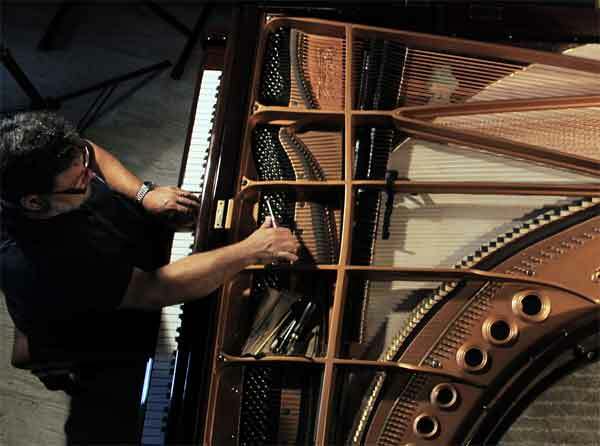 A private effort commenced in the workshop of Panos Ioannidis to revitalize the instrument. It was a long and tedious process, as there were no manuscripts, notes, tools, technical information etc, and the instrument and its barrel are extremely complex and demand the greatest precision. The first new laterna was built in January 1990 complete with new songs. An effort is also made to collect old authentic music and in the same time improve the sound, aesthetics and the technology of the instrument so it stands a chance to regain some of the glory and value in our hearts and sound confidently today as a unique instrument. It is a real joy listening to songs that have never been recorded and a delight to dance a waltz or a tango of an old forgotten rhythm; most of the new songs are clear reprints of the new ones.